In A Framework for Understanding Poverty, Ruby Payne discusses the hidden languages, rules, and assumed knowledge present in each of the three social classes and how those shape our interaction with the larger world, including within an educational framework. 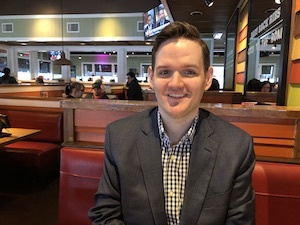 My lunch with friends yesterday turned into a 3 to 4 hour event as we hung out at a local independent pizza parlor and discussed kids, love, True Blood, taxes, and a host of other things. 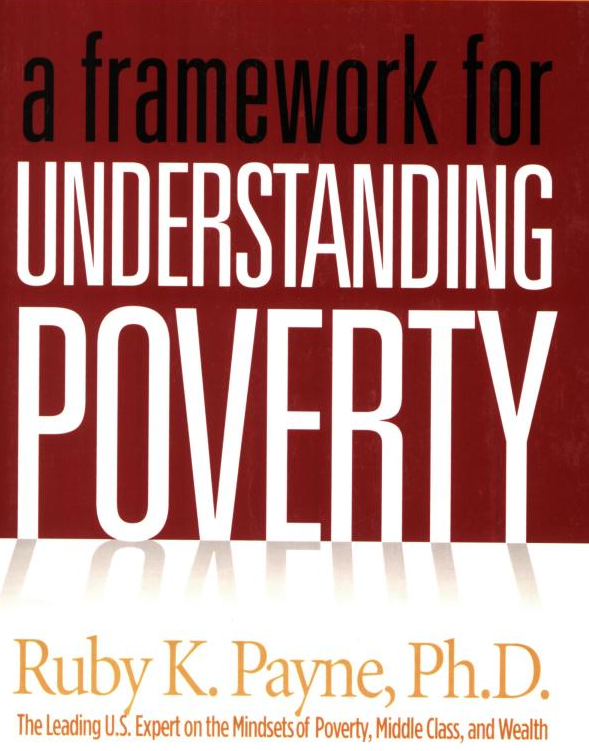 The topic of poverty came up (as is inevitably bound to happen when the group includes a social worker, a teacher, and investors sitting around a table given that class structure has a heavy influence on the people we deal with on a day-to-day basis) and it was recommend that I read A Framework for Understanding Poverty by Ruby Payne. That night, I bought the book on the Kindle App for my iPad, and read it in a few hours. The book reminded me of one of my favorite versus in the Christian Bible: “My people are destroyed for a lack of knowledge.” The premise was that the hidden language and rules of the three classes – lower class, middle class, and wealthy – make it difficult to move among social classes and not necessarily the lack of financial capital, which is only one component in a much larger pool of resources such as emotional, mental, spiritual, physical, and educational support systems. It is those latter factors that often make a difference between situational poverty and generational poverty. The book was valuable to me because, as someone once pointed out, I am in a lot of ways an educator. The difference is, I don’t have 20 kids in a classroom, I have tens of millions of readers each year that cut through nearly all walks of life, many of whom aren’t even in the United States. By learning to communicate with them more effectively and checking my own assumptions, I can improve the lessons I share from my own experience. Preserving, Growing, and Giving Away Wealth, Connections, Power: An upper class citizen would know how corporate financial statements are read, how charitable foundations operate, how to make networking connections with influential people, how to ensure privacy with legal, accounting, and domestic staff, and how make private travel arrangements. All of these are absorbed through osmosis as necessary survival skills in the day-to-day experience of the class member. If someone in the upper class found themselves in jail without any of their family or business connections, they would have a much more difficult time navigating the experience than someone who had lived in poverty and, statistically, had several family members that had experienced incarceration. Likewise, if a member of the lower class were to try and patent an idea they had for a successful product, they might not know where to begin or how to avoid being taken advantage of in the transaction. Here is the important part: The members of each class inherently assume that the other classes are operating by the same rules and with the same knowledge. All three classes are acting in a way that maximizes resolution and minimizes emotional conflict based upon their own personal opportunity cost. Members of the wealthy class often carry the subconscious script of being part of "something bigger" including their family and, in many cases, the family business that generated the wealth. Their own desires, and outside relationships, are often subservient to this sense of responsibility. Put in that context, behavior makes perfect sense. If someone in the middle class gets in a fight with a coworker, he or she must resolve it to continue functioning and collecting a paycheck. If a member of the upper class has a conflict with someone, there are no ramifications to simply moving on and never seeing them again. As a result, we go through life with “scripts” that have been taught to us unknowingly and acting on those scripts in a “click-whirl” response. This leads to friction between members of the different classes who don’t understand the natural causes of the behaviors of the others and why friendships, romances, and peer groups ultimately end up coalescing within one’s own social and economic class. If you are middle class and a fight with a friend who is in the lower class turns violent, you are probably going to consider the physical confrontation assault and make a very, very big deal out of it. If you are in the middle class and you have a fight with a friend who is in the upper class and she stops calling you, refuses to visit you, and falls off the face of the Earth, the behavior is going to appear as a fundamental violation of the rules of how people relate to one another because you live in a world where people must resolve their differences to function. It doesn’t even occur to you that these rules don’t exist for everyone else based upon their own networks and resources. Lower Class: Interpersonal relationships, including networks of friends, family, and church members. This is necessary for survival and often results in a highly matriarchal family structure. Middle Class: Independence, self-sufficiency, and professional achievement is considered important. The family structure often is the most traditional with a husband working in partnership with a wife. The point of realizing all of this is to understand that the hidden scripts at work in your audience, whether you are an elementary school teacher or a professor at an Ivy League business school, a lawyer at a white-shoe firm or a portfolio manager at a mutual fund trying to appeal to a specific demographic group. Requests, statements, and behaviors that may seem entirely reasonable to one class of people may be insulting to someone in a different class. Payne argues that no class “rules” should be judged but that we should seek to understand them so that we have the option of making different choices that wouldn’t occur to us if we remained relegated to our own economic stratosphere.